1. Drive/Passion/Perseverance/Will Power: and a similar of character traits that are found within a person. 2. Intelligence/Decisions/Common Sense/Logic: and a bunch of intellectual traits found in the athlete that will help him maximize the resources around him to the best extent possible. 3. Circumstances/Resources/Mentors: and real world situation based advantages that a person could get over his/her opponents. Case (1&2) : A hard-working person , training hard, and studying matches, and saving money to buy each years matches of the world championships to be able to research the best moves can make it to the top. Pros. : The student will arrive at a huge understanding of the art that will allow him to become an exceptional teacher. Cons: The lack of a mentor or good instructor will waste much time in reinventing the wheel and it will be a close race to carry out certain athlete oriented goals as the lack of time is always a constraint. Case (1& 3): Is probably the best scenario for a coach that wants to develop the best athlete if he had to pick from the 3 cases. Why because he will listen to the coach like an android. Sometimes athletes that have their IQ’s a bit higher but not high enough to understand that more gains can be obtained by behaving like an android rather that questioning and challenging proven methods will lose the interest of the coach and their own time asking questions instead of learning the basics well. No great coach will waste time with non-believers and doubter versus those that are true followers of the system. Pros. Athlete will get really good really fast at alarming speeds. Cons. Because everything has been almost spoon fed by the coaches, these group of athletes might experience difficulty later becoming a successful coach themselves. A lot of coaching is troubleshooting, understanding and about what your students are going through. Case (2&3) : Extreme Intelligence with great resources can lead to deep understanding of the subject. Which means corners can be cut and tricks and gimmicks can be developed to achieve success at high levels of the sport, specially in Brazilian Jiu-Jitsu in which strategy plays a huge role. Pros: The deep understanding of certain areas of the art can lead to big success at any single level. I will tell you that I try to improve in all the 3 ingredients mentioned above . It is essential to improve on those three areas. It is important that as athlete you believe that you are destined to do big things. That your will power can overcome anything, and that circumstances are the creatures of man , and not the other way around. When I opened Third Law BJJ I did it out of necessity. I was a young purple belt , very naïve about what it takes to win at the highest level in the sport. I thought it was way easier than what it is. Anyways I started my school and soon I found myself lacking ingredient #3. I studied instructional videos , matches, drilled, trained multiple times a day and I did surpass many peers with better circumstances than me. Nevertheless there those who had all the ingredients. Even though I thought I was harder working and smarter than them, I could not overcome the mix of their good enough will power, good enough common sense and logical thinking power and great resources. Once you view your situation this way is very easy to really understand what is going on. It can also be intimidating when you know some of the people you compete against are training with Multiple World Champions. Nevertheless the answer to my problem was always the same: “work harder and smarter than everyone else by doing things more efficiently while at the same time trying to make the resources around you better.” Therefore I started to develop a good team in Naples, FL . As my students get better so did I, but this was too slow of a process and sometimes students quit , determination drops leaving you short from training partners. So this alone was not alone. Then I tried competing a lot to make up for the difference but then I couldn’t do this while leaving the school behind without falling apart. That’s when I realize that my success dependent on having a functional automated business for my martial arts school. As I started to carry out this things became easier as had more money to travel and compete and visit my mentors. This is where I am at now, constantly improving on all of the 3 ingredients, but specially on number 3. The funny thing is that ingredient 3 teaches me how to become more efficient in the other areas. It is a never-ending cycle. I want to end this article by saying that an athlete above all things must believe in the power of the human mind and will power and the ability that humans have to overcome obstacles regardless of how big they may seem from the distance. It is true that a journey of a thousand miles begins with a single step, and that is the journey where the true prize lies, and not the destinations ( titles , gold medals, etc..). It is in the journey that you will learn the most about yourself, character, discipline, honor , and self improvement. 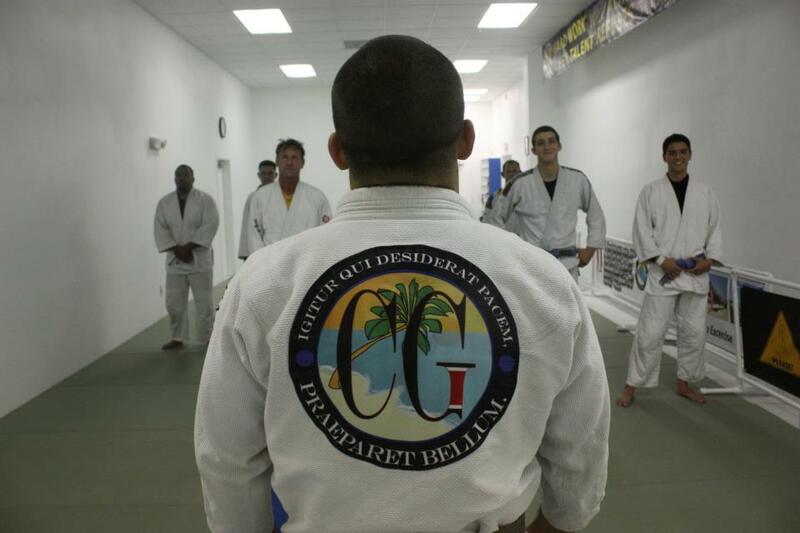 great post…great analyzes on the pros and cons of having an instructors. I am pretty much in your shoe as I have school in small town. Due to work and family commitment I am left to my own devices. But on the flip side I spend every waking chances I have studying and perfecting my martial arts, be if BJJ, Judo, Muay Thai, etc. Mong is being a year and a half since you wrote this comment has your situation improved. Happy New Year! Nice post Roberto. It is well written and as a student I can attest to fact that you live by your words as written here. The school is constantly improving and evolving. I am proud to be a part of it.